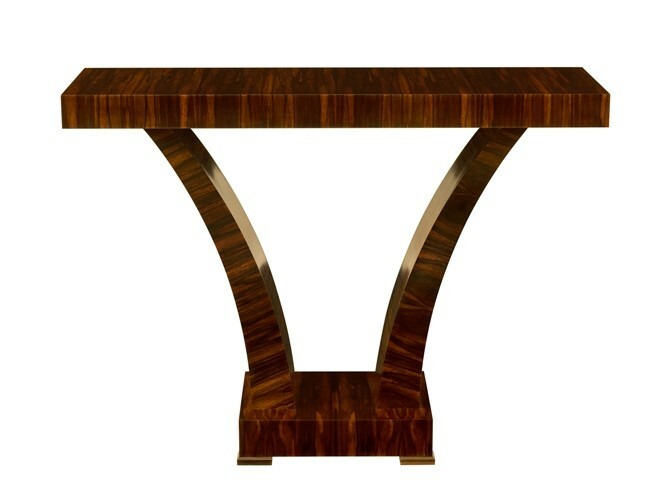 This is a console table with Art Deco influences so we have placed it in this section for the time being. It is a striking table that was originally made from a photo that a client provided. It is very clever in design because it fits in all most all situations and with most styles, yet makes it's own statement. The simplicity in it's form allows for the best and most striking veneers to be used. We prefer to use the boldest Macassar wood in this table, but it can look just as good in black lacquer because of the tusk uprights.